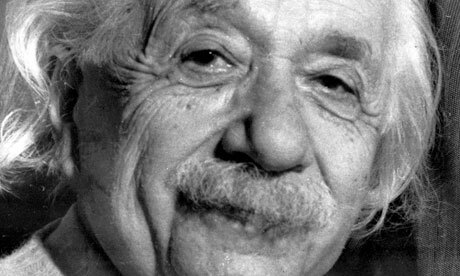 • EINSTEIN’S RELATIVITY RECOGNIZES TIME AS THE FOURTH DIMENSION IN THE 4-D DOMAIN OF SPACE-TIME. AS SUCH, TIME IS IRREVOCABLY BOUND TO THE THREE DIMENSIONS OF SPACE MATHEMATICALLY, SUCH THAT THE SPEED OF LIGHT IS ALWAYS THE SAME REGARDLESS OF THE MOTION OF THE OBSERVER RELATIVE TO THE LOCATION OF ANY GIVEN SPACE-TIME EVENT. • THE MOST IMPORTANT RESULT OF THIS INVARIANT RELATIONSHIP IS THE FACT THAT SPACE-TIME, AND CONSEQUENTLY SPACE AND TIME HAVE NO EXISTENCE APART FROM MASS AND ENERGY. THUS EMPTY SPACE WITHOUT AN OBJECT, AND TIME WITHOUT AN EVENT, HAVE NO PLACE IN REALITY. THIS RAISES AN IMPORTANT QUESTION: WHAT IS REAL AND WHAT IS NOT? • DIMENSIONAL DOMAINS HAVE A NUMBER OF INVARIANT FEATURES PROVED BY THE CALCULUS OF DISTINCTIONS. ONE OF THEM WAS MENTIONED IN THE FOURTH SLIDE OF MY THIRD PRSENTATION. • DIMENSIONAL DOMAINS HAVE A NUMBER OF INVARIANT FEATURES PROVED BY THE CALCULUS OF DISTINCTIONS. Dimensions are distinctions that are measureable in variables of extent. All other types of distinctions are not dimensional. This gives us a mathematically precise definition of the term dimension. An n-dimensional domain is a domain of with exactly n dimensions. Every n-dimensional domain is contained within an n+1-dimensional domain. • FINALLY, THE EXISTENCE OF A THIRD DIMENSION OF TIME FULFILLS THE REQUIREMENT THAT EVERY N-DIMENSIONAL DOMAIN IS CONTAINED WITHIN AN N+1-DIMENSIONAL DOMAIN. • CONSCIOUS, ON THE OTHER HAND, IS REAL BECAUSE, AS PRIMARY ONSCIOUSNESS, IT CONTAINS THE 3-D STRUCTURES OF MASS, ENERGY AND EVENTS, AND IT IS NECESSARY FOR ANY MEANINGFUL ATOMIC STRUCCCTURE TO FORM, AND AS INDIVIDUALIZED CONSCIOUSNESS (US), IT CONTAINS FINITE 3-D TRUE UNITS OF THE THIRD FORM OF REALITY (GIMMEL). • GIMMEL IS NEITHER MASS NOR ENERGY, AND IT CONVEYS THE CHARACTERISTICS OF CONSCIOUSNESS TO THE STRUCTURE OF SENTIENT LIFE FORMS. All very necessary, of course, Ed, if the Spiritual Ultimate Force fundamentally aspired to becoming the Spiritual/Temporal Ultimate Being on planet Earth, before Itself having to revert once again to being Spiritual and beginning the process all over again, ad infinitum! Fits my Cosmos Club cosmogony to a tee! Amun! Yes. Quite necessary for spiritual evolution.